The Jam Tree Chelsea | Pub Quizzers | Find a pub quiz near you, now. 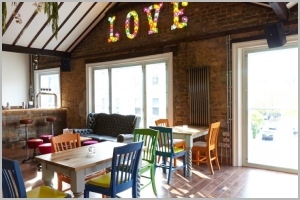 Pub quizzes take place at The Jam Tree Chelsea, Chelsea on Sundays (weekly) at 19:00. Entry is £2.00, you can have up to 10 people on a team. There are prizes of cash, spot prizes. Happy quizzing! The Jam Tree, Chelsea are looking for you! Come along and experience a fantastic evening of putting your brains to the ultimate test, we guarantee you'll have a good time! If you find yourself victorious at the end of the night, a £50 food & bar tab will be yours! But that''s not all you can win. For we also have 2 x bonus free drink questions asked throughout the quiz, how good does that sound? So gather the troops and head on down to The Jam Tree, Chelsea! There's no limit on team size, but in the interest of fairness, a points deduction system kicks in for teams over 6 players.